This is the identity what stance you have when you’re fighting. 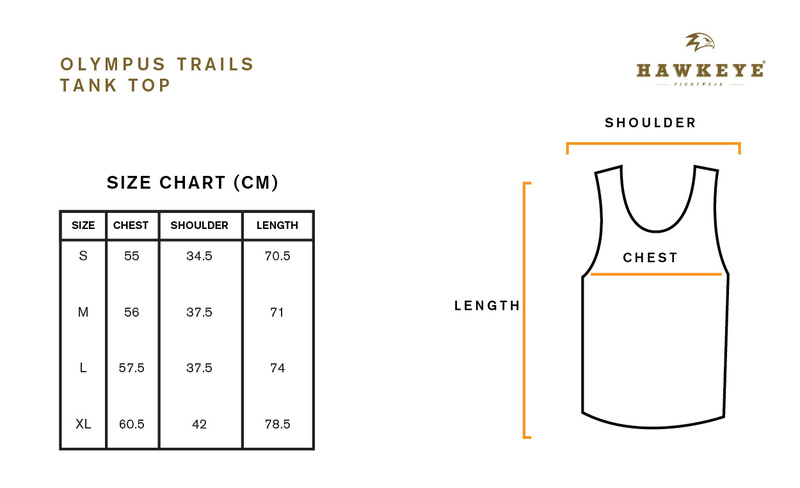 Olympus Trails tank top collection made by premium Lightweight Cotton fabric from Indonesia is cut in a fighter fit, that you can wear in any condition. Complete with oval neckline, and a Olympus Trails woven logo label at the hem.